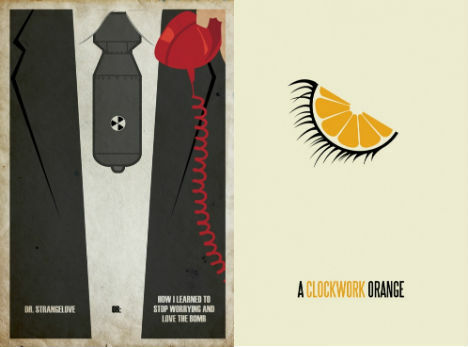 It may take 120 minutes to tell a story, but it doesn’t take much more than a few bold, graphic images to tell viewers what the story is about. 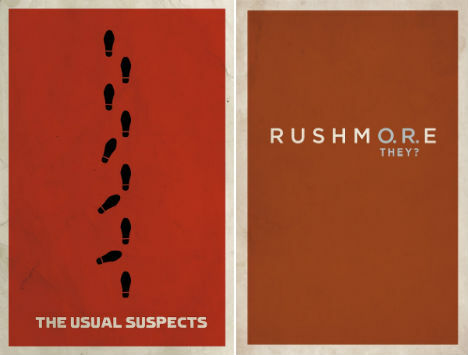 Graphic designer Matt Owen produces brilliant minimalist movie posters for classic and modern films using the most basic of elements in an incredibly clever way. 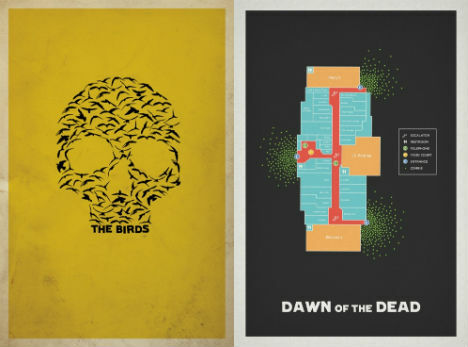 Choosing imagery that best sums up a film – like a map of the mall for Dawn of the Dead, a shower curtain rod for Psycho and carnival gates for Zombieland – Owen effortlessly captures the plot. 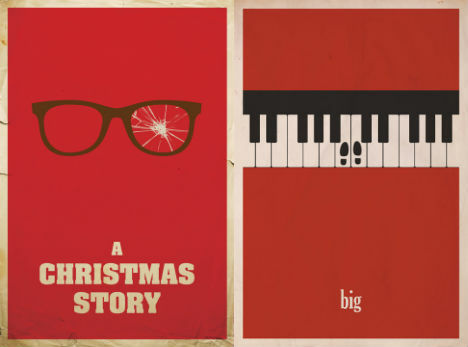 A single pair of cracked eyeglasses leaves no doubt as to which film it’s representing in the case of A Christmas Story. 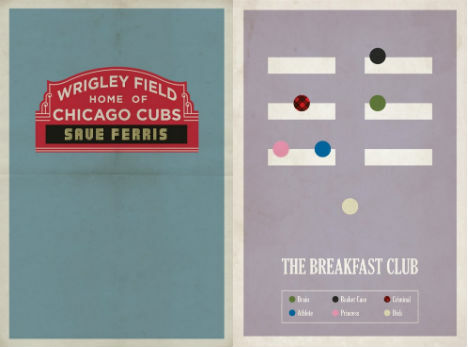 Others, conceived as diagrams, get just a tiny bit more complex while still providing as little information as possible. 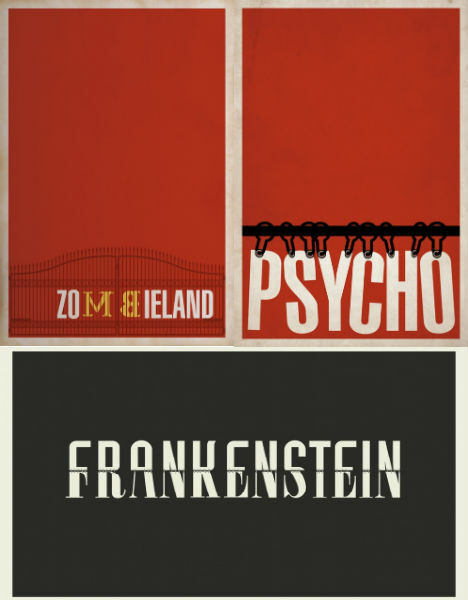 See more posters at Matt Owen’s blog.